Did you know that most residential and business doors are key targets for thieves? Most people do not realize that according to FBI burglary statistics, 65% of break-ins are forced entry through the front door, back door, or garage service door. Increasing your security is not as much about making your property impenetrable as it is simply adding a few security measures so that thieves are unsuccessful and choose an easier target. There are several things you can do that will immediately reinforce your door, increase lock strength, and reduce the likelihood that you are the next break-in opportunity. Forced entry through the front door is so common because most deadbolt locks on residential and business doors are held together by short screws which leave your business and homes vulnerable to break-ins. A hard enough kick or push to the door will break these screws right through the door frame. Luckily, preventing this type of break-in is very simple. All you need to do is replace the short, weak screws with longer and stronger security screws. This simple hack can significantly increase your front door security and deter thieves from entering your home or business. Unscrew the current screws that are holding the metal strike plate to the door frame. Replace the old screws with longer 3-inch secure screws. Make sure to not drill in to far or you will add a gap between the lock and plate, allowing thieves to push a standard lock open. When you replace the screws you want to make sure that you get the right sized head because screws with smaller heads will just go through the plate without catching the plate. Larger head screws won’t seal correctly either. BONUS: for added security, consider adding a door security strike plate. These heavy duty metal plates have extra screws to reinforce the plate and prevent the lock from being kicked in. 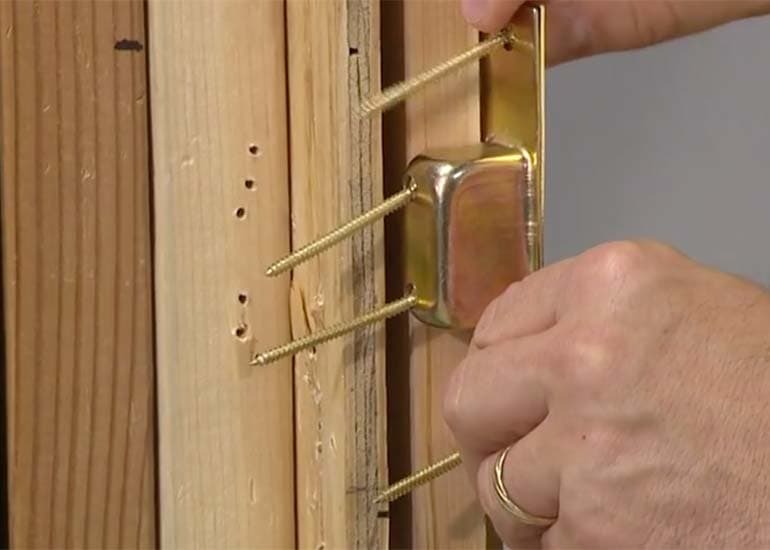 Adding longer security screws to your door frame doesn’t just add security, they help hold the wooden door frame together. Over time, a heavy door can start to sag the frame and create gaps or damage the frame so the door no longer opens and closes correctly. By adding longer screws, the frame is being drilled into the surrounding studs and strengthening the frame. Note: Some screws are soft and can break or crack with pliers. Cheaper metal screws will crack under pressure. The first priority is to ensure all exterior doors have deadbolt locks installed. To secure your home or business, a grade 1 or grade 2 deadbolt with at least a 1 inch bolt is necessary. 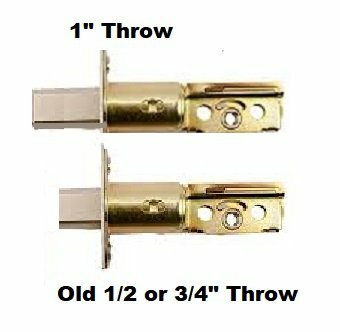 A shorter throw bolt can quickly be compromised with a crowbar or screwdriver. 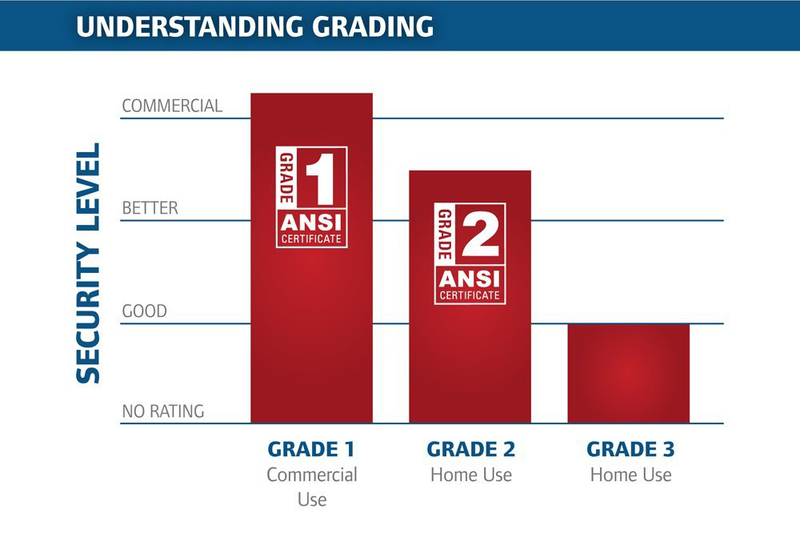 Most home hardware stores are going to provide you with Grade 2 and Grade 3 deadbolts. Most people pick a deadbolt based on aesthetics, but it is critical that you purchase one that is going to keep you and your property safe. If you already have a deadbolt, start by checking to make sure the screws are tight. Open the door and ensure that when the bolt is open, it extends to at least 1 inch and is sturdy, without any wobble. If it is loose, a new deadbolt is necessary. In addition to purchasing a quality lock, you can take an additional step by having a professional locksmith install a bump lock prevention pin to your locks. Lock bumping has long been a technique that locksmiths have utilized to open a lock when a key is not present. The term comes from the action of inserting a “bump key” into the lock and tapping the key while applying force. This simple technique forces the pins to jump, aligning the shear line for a split second, and giving the opportunity to turn the key and open the door. Unfortunately, anyone with the internet can now go online and learn this technique and purchase the tools to do it for just a few dollars. The simplest thing you can do to prevent lock bumping is to upgrade your deadbolts. Now that you know what kind of locks to purchase you can take the next step by upgrading them. Take your door lock to a local locksmith or have them come to your house, they can add a security pin to your lock cylinder that makes it much more difficult, though not impossible, for a lock to be bumped. Lastly, something that most people forget or don’t think about is the crawl space. Crawl space doors should be properly secured and locked at all times because a thief can easily enter the crawl space and break into the home or business from underneath. Putting a lock on the crawlspace is very simple. Make sure that you use the longer 3-inch secure screws for this lock as well. Having secure window locks installed. Installing high-security locks on your home. Purchasing a safe for important possessions and valuables. Contact a professional locksmith if you need assistance with any of the above tips. Make sure you follow us on Facebook (link) and visit our blog regularly. 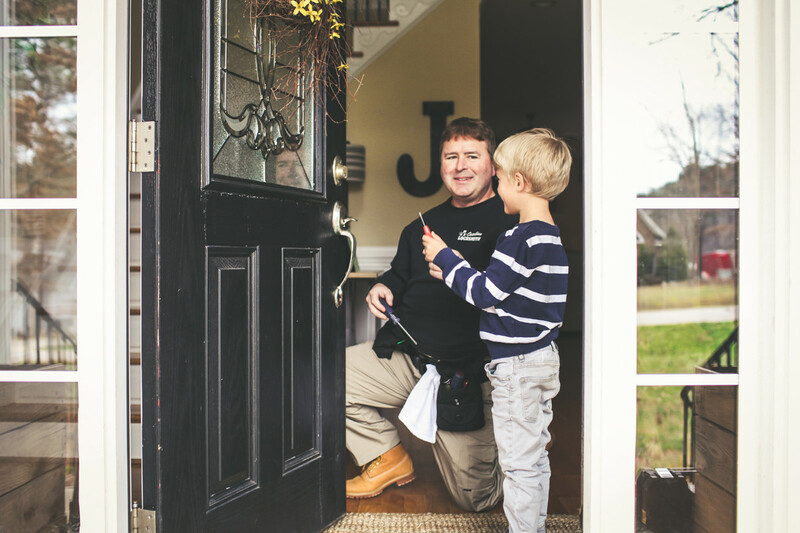 We continuously provide helpful tips and security improvements to all homeowners.